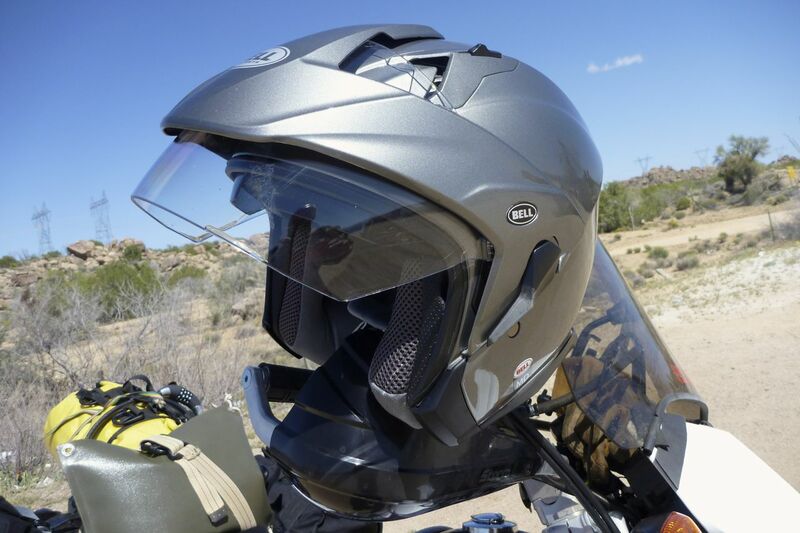 Good looking, comfortable and cheap full-visor open face, but as usual, visor actuations can get problematic. 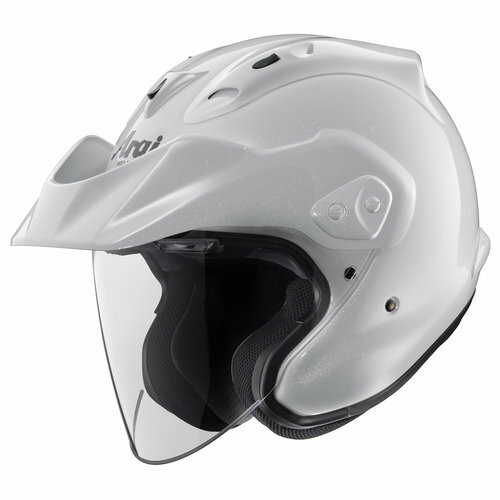 Light, vented, full visor open face helmet with integrated sun visor and a short beak. 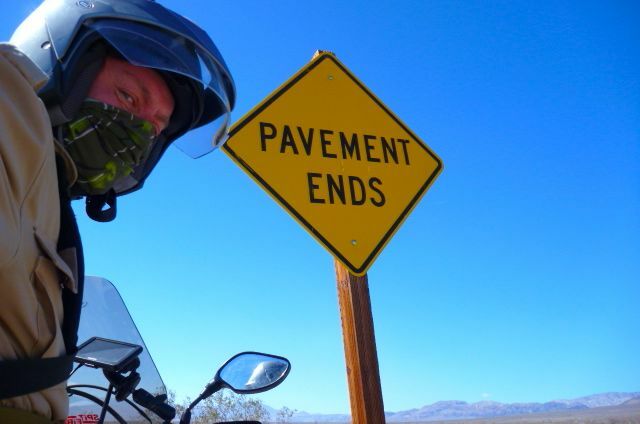 Riding around SW USA on backroads and dirt roads. And a few trips in Morocco. Discounted to something like $75 delivered from motorcycle superstore. Original rrp was $169. Discontinued model; superseded by Mag Sena 9 at around $180. I’ve always had a soft spot for Bell helmets from the era of Kenny Roberts flat tracking and my own Moto III (right). I’m sure glad I never had to crash in that old head brick, though! Needing to save weight on the way to the US, I saw the new Mag Sena announced and liked the look of it, with its jaunty centurion-like anterior lip. It took me a while to work out there was a non-Sena (intercom system) available and that it had been around for years: the Mag 9. Not only did the looks appeal, but it turns out to be one of the best lids I’ve had in years. At first I thought I’d bought a size too small; in the US what is labelled Large is usually a Medium in Europe – not unlike everything else over here in fact – from food to vehicles. So it was with the Bell; my much repeated head measurements lined up and the Mag 9 in medium was snug out of the box but now fits just right. 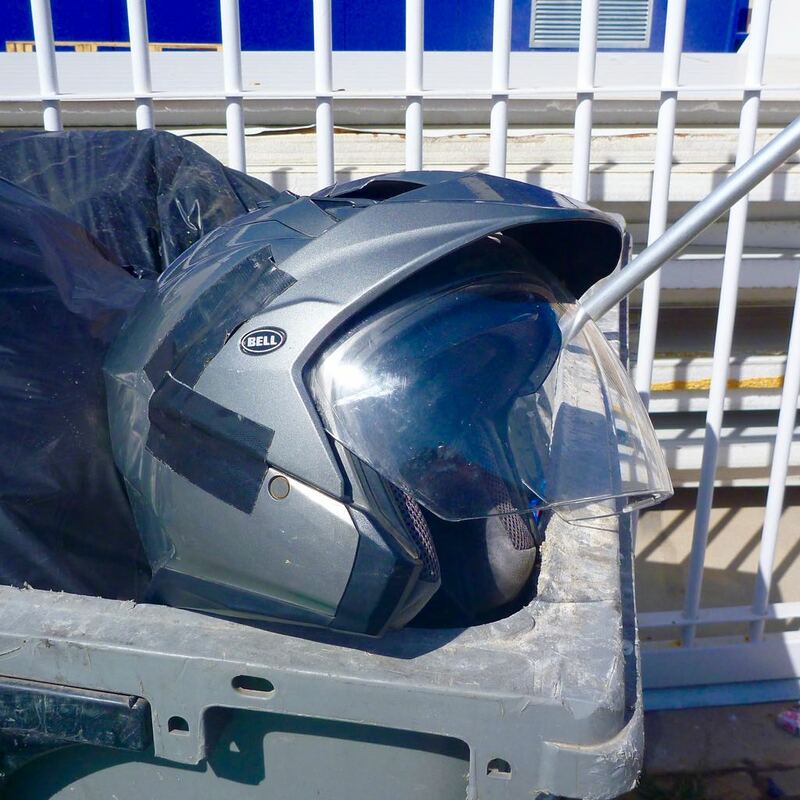 It may not look very ‘ay dee vee’ like the ubiquitous Arai XDs which come free with a GS12, but give me a lid without the in-your-face chin guard any day. 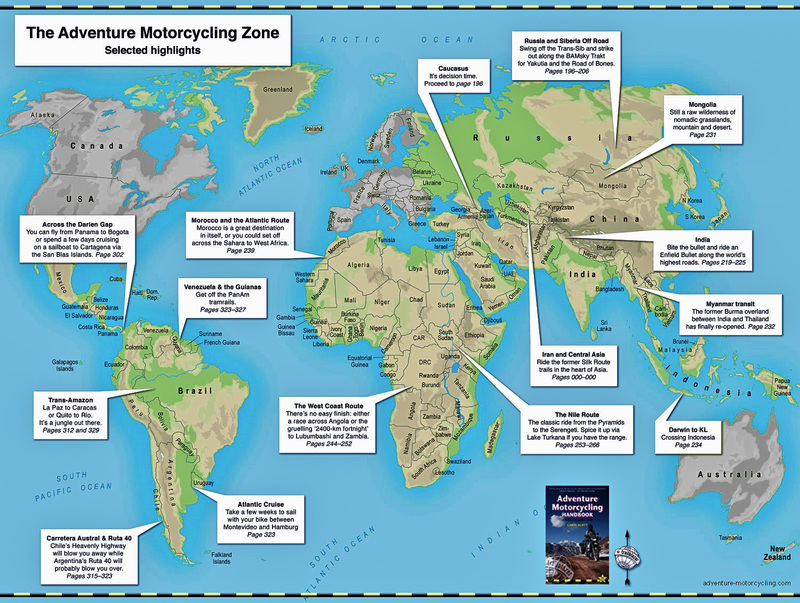 For moto travelling in AM Zone (right) the advantages of an open face are well known. You can show your face to the peasants and the cops and generally get a better response as a recognisable human being, compared to the full-face spaceman image. And like I’ve said, for me the less I feel I’m wearing a lid the better. You can pay for the gas while wearing this – being Arai-d up might set off the alarms. Then you can add the fact that you can feed yourself on the move and scratch an itch. 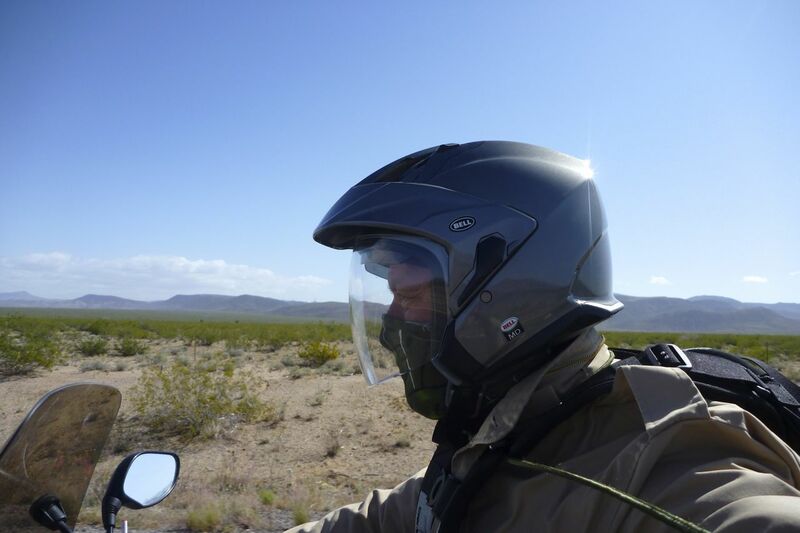 Outside of winter, for world travels, this is the helmet style for me. The ‘ear pouches’ envelope the ears. I don’t wear them, but no need for ears plugs here; this is one of the quietest helmets I’ve had (though used mostly with a short screen and at low speeds). As for the vents, I’ve long believed these make little difference on the road and I’ve no reason to change that view with the 9. The sun visor is such a handy feature as long as it’s kept clean. 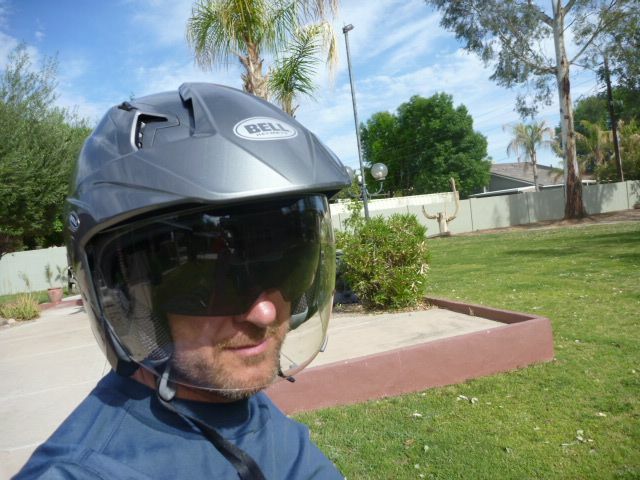 Shaded main visors are not so convenient for reading glaring satnavs or of course night riding; flip down the sun visor and you’re in business. I also like the dirt-bikeresque beak element on the Mag 9 for riding into low sun angles where no shady visor can help, but it’s not low enough to do that well. It’s something I see that Arai have on their CTZ (right), but, snakes alive, is that an ugly contraption for no less than $500. The linings on the Mag are plush and cushy and pop out easily for a wash and the visors are easy to clean with the windscreen wipe stick you get by the pumps. But, as with the Airoh and the expensive XLite, the sun visor actuation gets stiff; it usually seems to be a problem with leverage, although with the Bell it’s become more likely dust from the trail has jammed the lever and release mechanisms a bit. I’ve tried rinsing and may go for a full-on hose down to clean it out. The sun visor retracts with a nudge if necessary but lifting the main visor has become really notchy – don’t know what the problem is there. The racket it makes and effort needed doesn’t make it an enjoyable and slick manoeuvre. I also recall I read reports that the Mag 9 suffered from the main visor not lifting high enough. I suppose that is true though you can tip the whole lid backwards to get it out of your eye line. Being out on the country, not riding in town, I usually have the visor down. I think it’s safe to retire my Airoh TR1 now; comparatively, it feels like wearing a milk crate. After wearing it for a month on Morocco and four years use, in 2017 I left my Mag 9 in a dumpster in an industrial estate Malaga. 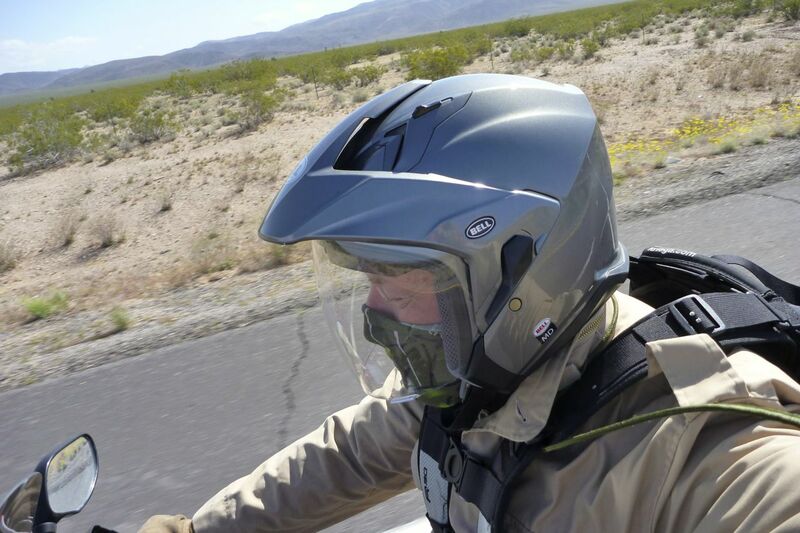 The visor was getting on a bit, the D-ring buckle seemed to loosen up easily, and the peak assembly was duct taped on after a few rough transits and very strong headwinds out of Tangier. It was starting to feel a bit cheap but I like the look and features and can safely say I got my $75-worth out of that lid. 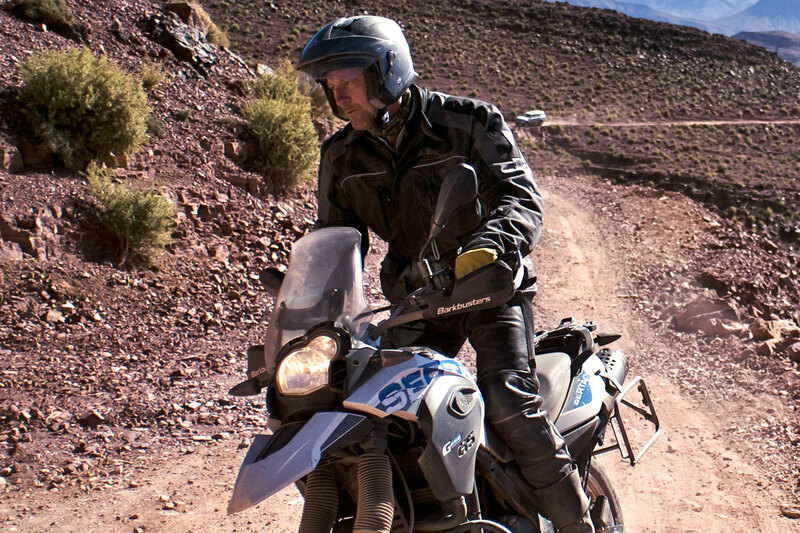 This entry was posted in Adventure Motorcycling Gear Reviews, AMH News and tagged Airoh TR1 review, Arai CTZ, Bell Mag 9 helmet, modular helmet reviews, XLite X420 GT review. Bookmark the permalink.